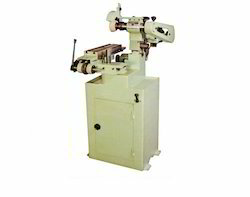 - Allied brand Grinding Machine is specially designed to Sharpen the Dies and Cutters of the machine. - It is fitted with Six Grinding Stones of different Grades and Shapes. It is required 2 HP Electric Motor. Universal Tool cutter grinder for tools and cutters drills, taps, hob cutters. Owing to our enriched industrial experiences, we are committed to providing a wide variety of excellent quality Tool Cutter Machine. 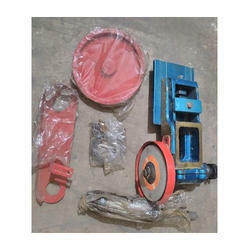 Friends metal industries (india) is manufacturing of heavy duty universal tool & cutter grinder machine, universal dividing head, Machine Tools, Hob Grinder Attachment|Chaser Grinding attachment|Radius Grinding attachment, Drill Grinding Attachments, Indexing Attachment , Tap Lead Relieving Attachments etc. The machines manufactured by the company are highly durable and easy to use. five axis tool and cutter grinder like new. Universal tool & cutter grinder can grinds hobs up to 1 d. P.